NEXUS is a software for intersection design and intersection reconstruction projects. The software designs and evaluates safety based on software feedback for sight lines, vehicle turn movement, and conflict points analysis. The intersections can be laid out in four different methods in NEXUS: Land Configuration, Capacity Conditions, Leg Templates, and Intersection Templates. GEORGE KOUMOUTSIDIS – STANTEC INC.
NEXUS allows the engineer to evaluate and monitor the performance of the entire intersection design as changes are made. The key benefit to the user is the speed of generating the geometry and surface drainage in a single tool. Visualize different design alternatives faster by using pre-defined leg templates. With over 450 templates to choose from, engineers can easily filter through the entire library to work with applicable templates. 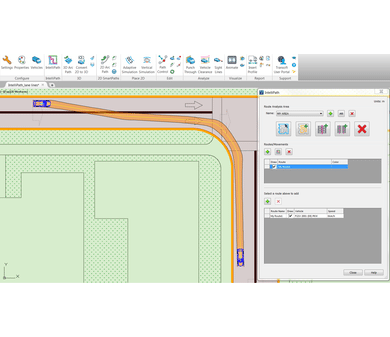 NEXUS can now generate Autodesk® AutoCAD® Civil 3D® surfaces, vertical, and horizontal alignments. 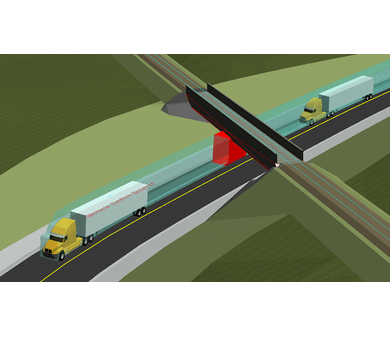 Civil 3D objects (such as corridors) are updated dynamically using the NEXUS grading model. @ 2019 Transoft Solutions. All Rights Reserved.